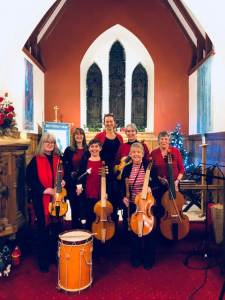 The annual candle-lit, musical evening held in Holy Trinity Church in the parish of Patrick, has now become an established event on the Manx calendar, with entertainment provided by local early music group Hartes Ease. 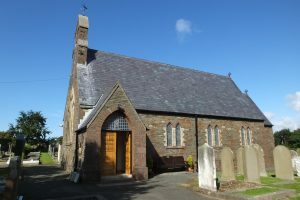 They were introduced by Alison Jones, one of the stalwarts behind the emerging Knockaloe Visitors’ Centre, which will provide a focal point for descendants of those incarcerated in the Knockaloe Internment Camp positioned across the road from the church during World War I, and those seeking history of the camp, which, at its peak, housed approximately twenty five thousand internees and guards. Poignantly, she also pointed out that as the camp wasn’t de-commissioned totally until the autumn of 1919, a number of internees were obliged to spend the festive season of 1918 behind barbed wire. The programme provided by Hartes Ease largely included music from the Mediaeval period, with one of them, Ein Feste Burg, linking events with one of the many novels written by famous Island novelist Sir Hall Caine. Entitled The Woman of Knockaloe, the story is based upon the love story of a Manx girl and a German internee. After refreshments the repertoire of Hartes Ease included two Manx tunes, Ushag veg Ruy and Ec ny Fiddleryn ayns y Nollick, arranged by one of their musicians Cristl Jerry. One of her ancestors was interned within Knockaloe Internment Camp. 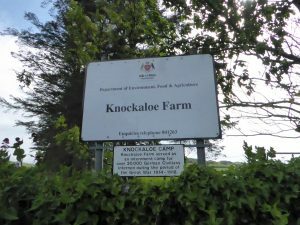 All money raised during the evening will be donated towards the on-going work of the Knockaloe Visitors’ Centre, which will be up-and-running from March this year.